Mary A. Haas, age 82, of Delta, peacefully passed away early Friday morning, July 6, 2018 at Grand Rapids Care Center with her family by her side. Mary was born in Delta to the late Carl Lambert and Bertha (Osterhout) Lambert on July 15, 1935. She attended Delta High School and later married Donald Haas on September 7, 1957. Before retiring, Mary worked in several factories including The Wire Factory, Sheller-Globe and Sheridan Manufacturing in Wauseon. She was an active member of Haven Heights Baptist Church in Wauseon. Some of her fondest hobbies included playing bingo, working on puzzles, reading, gardening, bird watching and most of all enjoying her family, grandchildren and great grandchildren. 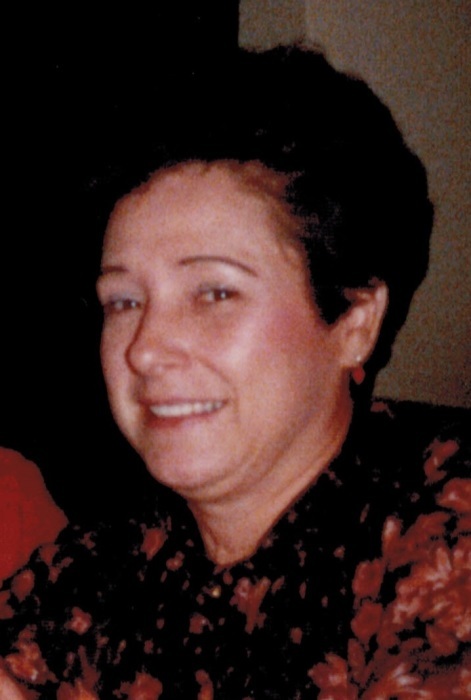 Along with her parents, she was preceded in death by her brother, Donald Lambert and sisters, Arlene Crane, Carol Carpenter and Kathy Donaldson. Mary’s memory will live on with her husband of 60 years, Don Haas; son, Jeff (Kelly) Haas of Delta; daughter, Pam (Todd) Kline of Grand Rapids, OH; brothers, Lloyd Baun and Jerry Lambert; sisters, Rose Marie Goldsmith and Jeanie Turi; grandchildren, Jon and Rachel Haas, Nicholas Spangler, Abigail (Josh DeKoeyer) Wilson, Kyle (Tracy) Dunning, Christopher (Brittany) Kline, Levi (Harley) Kline, Joshua (Ciera Yglesias) Kline and eleven great grandchildren. There will be a time of visitation for Mary on Monday, July 9, 2018 from 2-4 and 6-8 PM at Barnes Funeral Chapel, 5825 St Hwy 109, in Delta; where a funeral service honoring her life will begin at 10:00 AM on Tuesday also at the funeral home. Pastor Lance Wyse will be officiating. Interment will follow at Greenlawn Cemetery in Delta. In lieu of flowers, those wishing a show of sympathy are asked to consider contributions to Haven Heights Baptist Church, 1373 N. Ottokee St., Wauseon, Ohio 43567 in Mary’s memory. A special thank you to the staff at Grand Rapids Care Center and Heartland Hospice for the loving care given to Mary during her time there. Online condolences may be sent to the family through our website at www.barnesfuneralchapel.com.